Hawaii is one of the most popular honeymoon spots, which is a title that the Central Pacific islands totally deserve. Thoughts of Hawaii conjure images of lush forests set against gold-sand beaches, majestic waterfalls plunging over rugged cliffs, and that warm and friendly Aloha spirit the locals are famous for. But the beauty and popularity also mean tourists are pretty much everywhere. 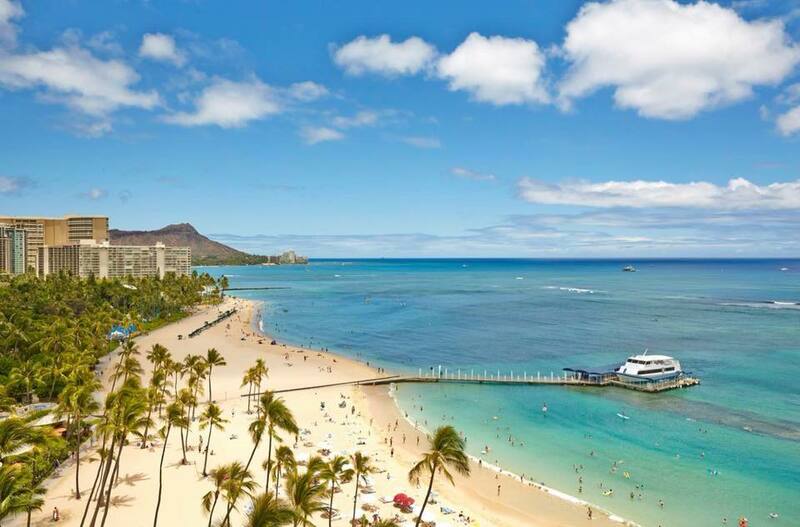 So if you are a newly-wed couple who want to spend some time de-stressing after the craziness of wedding planning, rubbing elbows with other travelers at Waikiki Beach is probably not what you had in mind for your romantic honeymoon. 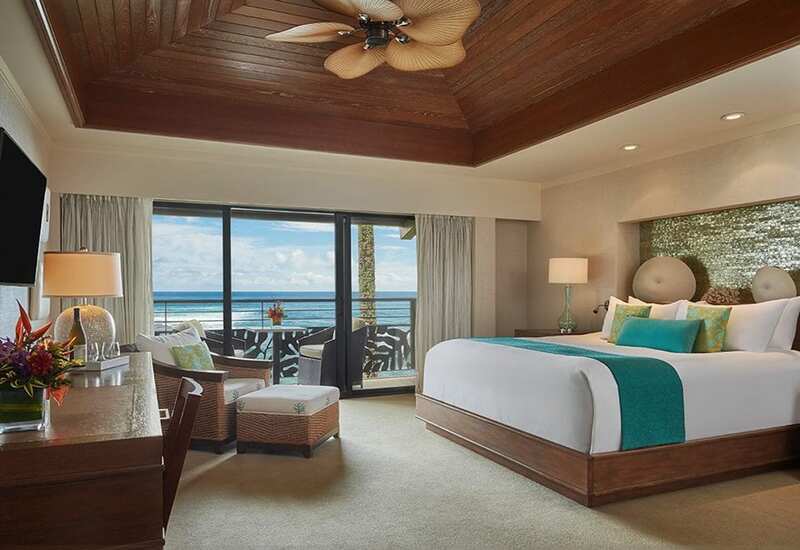 Below, we rounded up 9 stunning Hawaiian properties that offer plenty of fun activities geared towards couples in a more secluded setting. This oceanfront resort is surrounded by 22 acres of lush gardens and tropical flowers. For your honeymoon, consider upgrading to one of the specialty rooms or suites for a little more space and stunning views. In addition, Hilton Hawaiian Village Waikiki Beach Resort has over 20 restaurants, bars, and cafes to choose from that serve locally sourced and seasonal Hawaiian ingredients. If you’re looking for a truly authentic Hawaiian experience, then you’re going to love the Westin Nanea. Located on the incomparable Ka’anapali Beach, the resort offers 390 luxurious one-, two-, and three-bedroom villas. Here you can partake in whale-watching, snorkeling, sailing, windsurfing, or scuba-diving. Don’t forget to pay a visit to the resort’s cultural center dedicated to promoting and preserving Polynesian art and customs. Lastly, the resort has offers hour-and-a-half workout classes that includes exercises rooted in ancient Hawaiian culture. 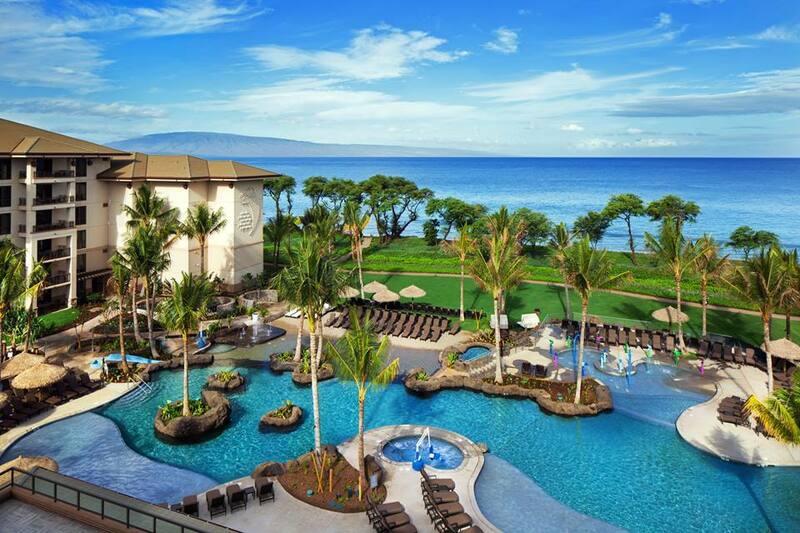 Wailea beach is home to the Four Seasons Maui, which has 380 luxurious rooms and is very romantic. Make sure to spend some time at the infinity pool and relax in one of the sun loungers. The pool is adults-only, so you can enjoy some peace and quiet. The Spago restaurant by Wolfgang Punk is highly recommended for dinner. This is a great honeymoon pick for foodies and couples who enjoy the finer things in life. You can have dinner on the beach and enjoy chef-created five-course meals in privacy at your leisure. This resort is on the east side of Garden Isle in the charming and historic town of Kapaa. Enjoy the gorgeous two-acre pool and garden, soak in the hot tub, or ride down the serpentine waterslides. 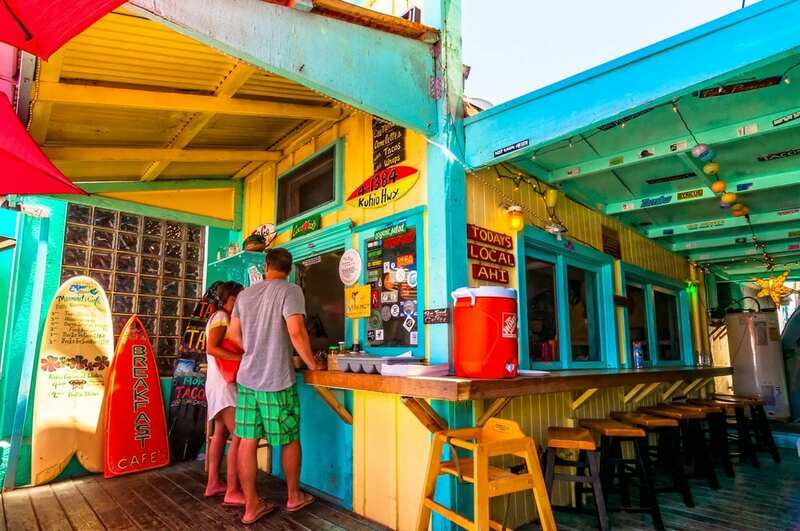 The spa and fitness hut are available for use at Waipouli Beach Resort, and Oasis on the Beach Restaurant specializes in local seafood and produce. 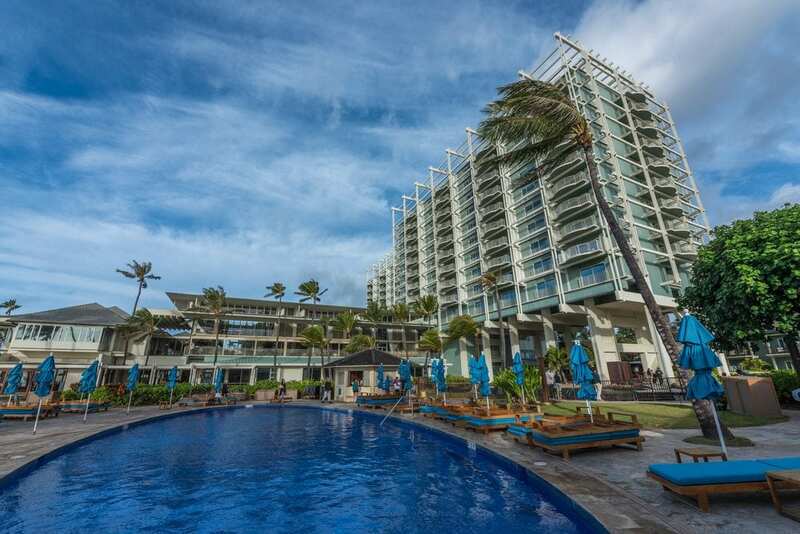 The Kahala Hotel and Resort is just a 10 to 15 minutes car ride to the famous Waikki Beach. The resort is in a much more secluded and private location in a suburb of Honolulu, which should interest newlyweds looking for some privacy. It is so secluded, in fact, that Elizabeth Taylor and Richard Burton honeymooned here, hoping to avoid the paparazzi as much as possible The resort features about 6.5 acres of beach, waterfalls, and gardens. Make sure to check out the “Kissing Point” at sunset for an unforgettable romantic experience – plus a great Instagram photo-op. If cage-diving with sharks and surfing are on your bucket list, then head to the Turtle Bay Resort located on the picturesque North Shore. This property has something for everyone in terms of activities, including outrigger canoeing, stand-up paddle boarding, snorkeling and eco-kayak tours in glass-bottomed kayaks. The 850-acre property also has its own surf school. If you happen to be a honeymooning couple who enjoys cultural experiences, this hotel in the heart of Waikiki is a great place for you. 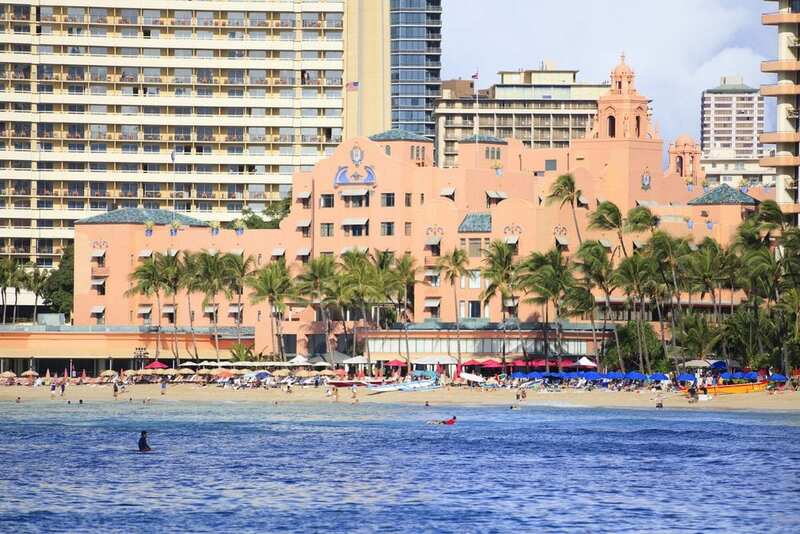 The Royal Hawaiian is one of the larger resorts on this list with 528 rooms. There are doctors on-call at this resort in case you have any health issues, a multi-lingual staff, currency exchange service, and world-class restaurants. Make sure to dine at the Azure Restaurant and relax at the Mai Tai Bar. 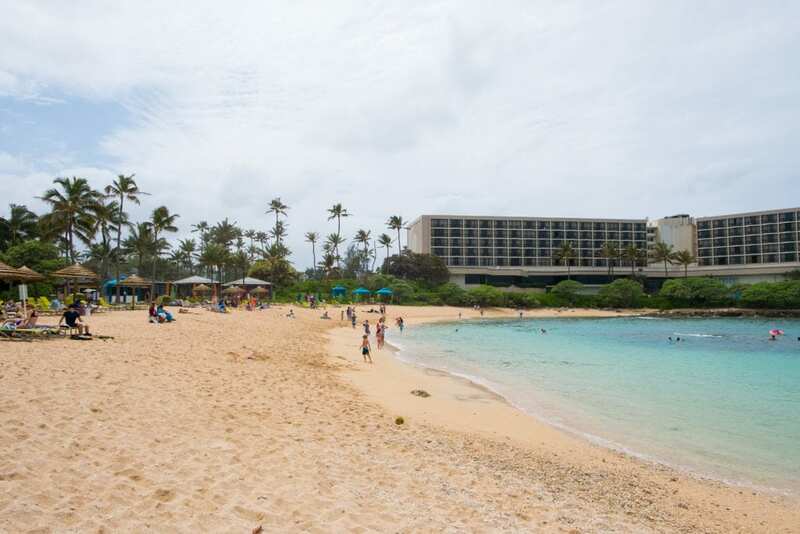 There are 121 rooms at this romantic resort located on Poipu Beach. Book your honeymoon here if you and your new spouse enjoy swimming and snorkeling. This island is perfect for those activities and is a favorite among couples. There aren’t a ton of pre-planned activities here, so this is a great spot for couples who like to make up their own plans as they travel. This is a more low-key option than some of the other more opulent resorts on this list. However, there is a nice spa here that uses soothing ingredients native to Hawaii. Andaz Maui at Wailea Resort radiates luxury and romance. From the moment you step into the airy lobby, you’ll feel instantly relaxed. Accommodations are enhanced at every turn, with modern touches like private lanais for admiring magnificent Hawaii sunsets, and baths with ocean and garden views. 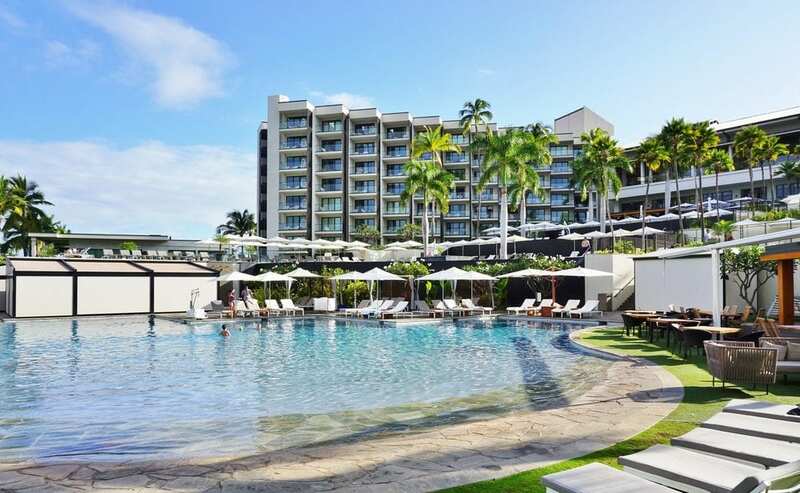 Dip your toes in the sand, explore Hawaii’s vast wonders, lounge poolside with your favorite drink, and enjoy delicious food at gourmet restaurants at this amazing hotel in Hawaii. Call us today at 402-281-3022 to talk to one of our Hawaii specialists!